When you start your SSAT prep, it is always hard to know where you should focus your energy because you have to study for three very different topics. For some, a balance of study between the three is most beneficial to their score, but some people are better off dedicating their attention to their weakest section. ExamTime’s free SSAT Quiz Maker is the perfect tool for you to test your strengths and weaknesses for the SSAT test. The best way to study for the SSAT exam is to practice, and ExamTime offers a free and easy to use way to do so online. Plus, with our SSAT Quiz feature, you have way to test yourself after you have studied the material on your SSAT Flashcards or Mind Maps. Check out this SSAT Verbal Reasoning quiz below! 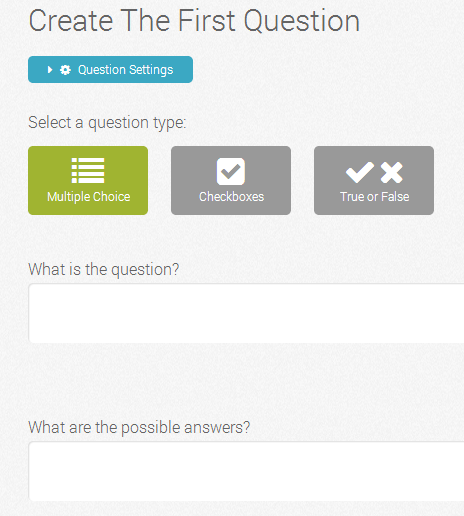 Our SSAT Quiz Maker tool has many great features. You can use images in addition to text, addtime limits, and set multiple possible answers. There are also three different kinds of questions you can use! One of the most highly remarked features of ExamTime’s Quiz Maker is the ability to share your quizzes. This means you, your teachers, or your friends can share a quiz about anything from trivia to SSAT prep! Practicing with ExamTime SSAT Quizzes is the next step to your best SSAT score. Why not Sign Up now? If you would like to learn more about ExamTime’s SSAT prep tools, tips, and resources, head back to our SSAT Index Page.